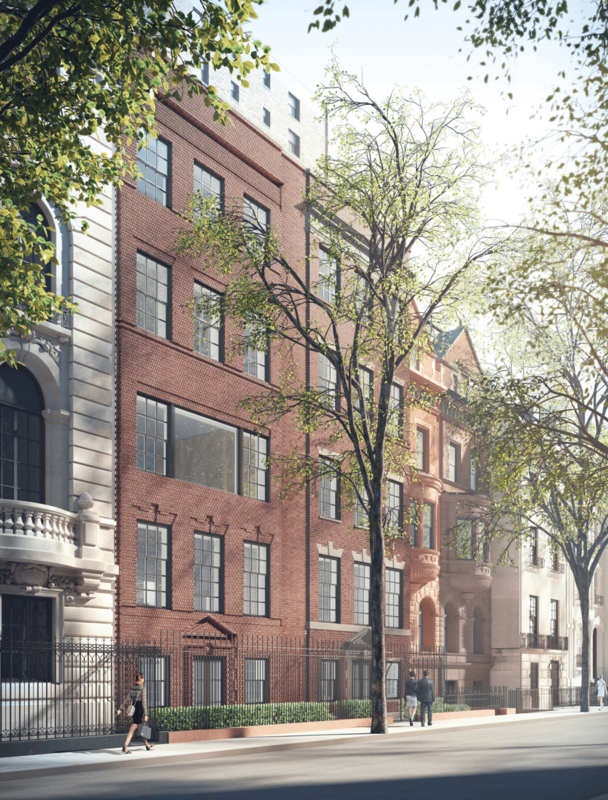 Shortly after Roman Abramovich added a fourth Upper East Side townhouse to his now-$96-million assemblage on East 75th Street, the Russian billionaire’s three-house, 18,000-square-foot mega-mansion plans changed ever so slightly, with renovation efforts to be concentrated on numbers 9, 11 and 13, leaving number 15 out of the running for the mega-combo. As 6sqft previously reported, the steel magnate and owner of the Chelsea Football Club has been working with architect Steven Wang with big-name firm Herzog & de Meuron as a design consultant. 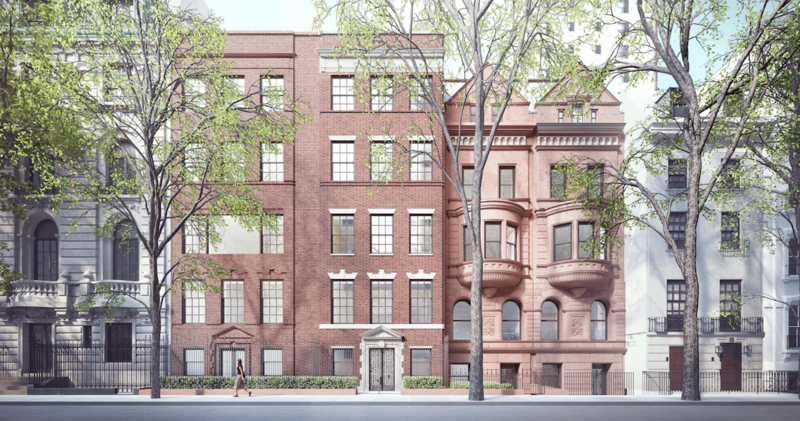 The first proposal for the project, “an 18,255-square-foot mansion with a six-foot front yard, 30-foot backyard, and pool in the cellar” was rejected by the Landmarks Preservation Commission and the DOB in April 2016, but a revised plan was approved two months later. 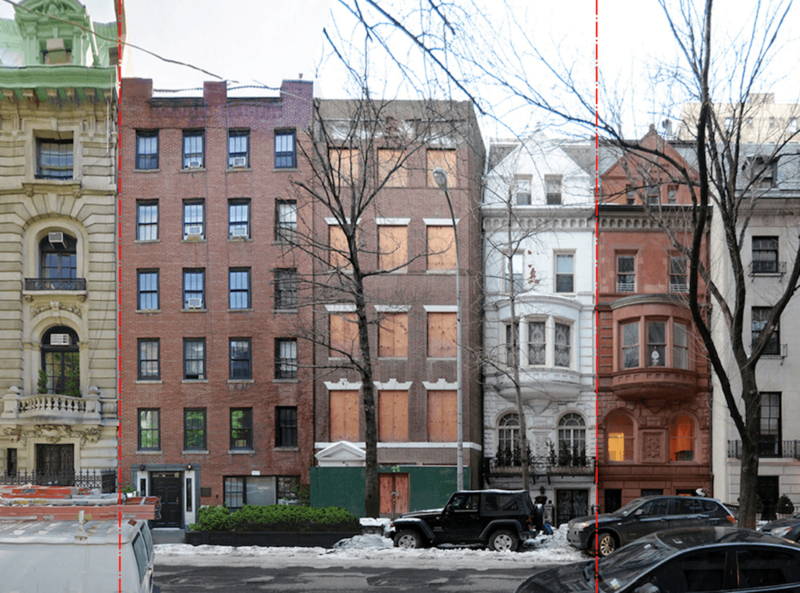 Tweaked again to include the new property, the revised plan has been officially approved on Tuesday by the Landmarks Preservation Commission. The rest of the attributes proposed for the mega-mansion including a pool, art room and landscaped backyard have remained, for the most part, the same. Read the full LPC presentation here.